Barcelona topped their group after 1-1 draw with English side Tottenham Hotspur and through to Round of 16 of Champions League. The Champions League group stage draw is over. The 16 teams in the next phase are known. The draw for the last 16 takes place in Nyon on December 17, from 4:30 IST. There are only two conditions that determine the draw: No team can play a side they shared a group with or any side from the same country. 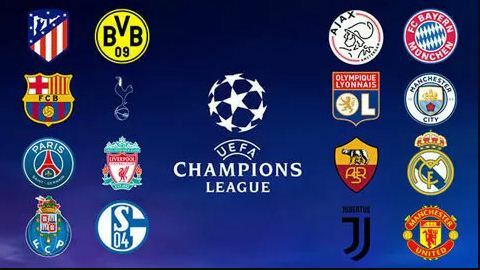 In one pot will be the group winners i.e Borussia Dortmund from Germany, Barcelona from Spain, Paris Saint-Germany from Paris, Porto from Portugal, Bayern Munich from Germany, Manchester City from England, Juventus from and Real Madrid from Spain. While the runners-up i.e Atletico Madrid from Spain, Tottenham from England, Liverpool from England, Schalke from Germany, Ajax from the Netherlands, Lyon from France, Roma from Italy and Manchester United from England will be in another. 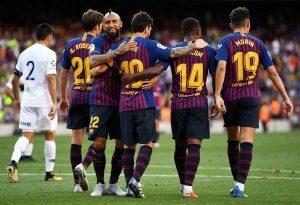 Barcelona will be in top seed after winning their group so their probability will be to play against Liverpool, Schalke 04, Ajax, Lyon, Roma and Manchester United. The rules of the competition stop them from playing Tottenham, who were in their group, and Atletico Madrid, from their own country. Barcelona are firm favourites in this year’s Champions League. Ernesto Valverde will be hoping to avoid Liverpool and Manchester United as they didn’t want to face tough competition in Round of 16, but whatever team they play they will be favourite to qualify for Round of 8. Real Madrid keen to lure this Premier League manager! Real Madrid renew their interest in this World Class striker!